Excellent work by Dr. Mazumder of B.U. is developing a system where solar panels, typically located in dry areas with lots of sun, dust themselves off with electric charges. The results of this reasearch was presented at the American Chemical Society’s 240th National Meeting & Exposition in Boston last week. "We think our self-cleaning panels used in areas of high dust and particulate pollutant concentrations will highly benefit the systems’ solar energy output," study leader Malay K. Mazumder, Ph.D. said. "Our technology can be used in both small- and large-scale photovoltaic systems. To our knowledge, this is the only technology for automatic dust cleaning that doesn’t require water or mechanical movement." A dust layer of 4 grams per square meter can decrease solar power conversion by 40 percent, says Malay Mazumder, a research professor in Boston University’s Department of Electrical and Computer Engineering. To put this in perspective, dust deposition in Arizona is about 17 grams per square meter per month, and the situation is worse in many other solar-friendly sites, including the Middle East, Australia and India. Mazumder, who led the study, presented the results Sunday at the 240th National Meeting of the American Chemical Society (ACS). The electrodynamic transparent screen developed by Mazumder and his colleagues is made by depositing a transparent, electrically sensitive material—indium tin oxide (ITO)—on glass or a clear plastic sheet covering the solar panels. When energized, the electrodes produce a traveling wave of electrostatic and dielectrophoretic forces that lift dust particles from the surface and transport them to the screen’s edges. 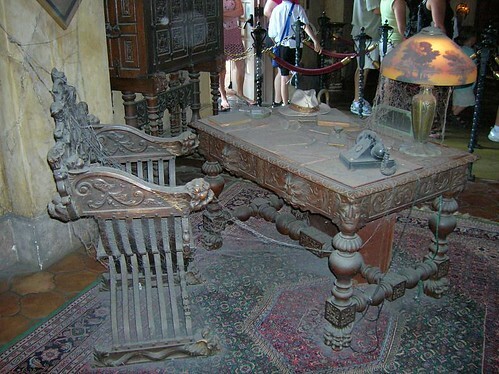 The researchers found that 90 percent of deposited dust can be removed by the transparent screen in fewer than 60 seconds. This works in part because many solar panels are positioned at an angle—the raised dust would simply fall off. Whereas solar panels are generally placed in dry, open spaces, the researchers are hoping to make their technique and technology also work to keep raindrops and mud from adhering to solar panel surfaces as well. Arianspace prepares to orbit the first six Globalstar second generation satellites on a single rocket from Kazakhstan’s Baikonur Cosmodrome in October. L-3 GCS wins contract worth $170M from the U.S. Special Operations Command for Panther VSAT manpack systems. Optus Satellite celebrates 25th anniversary of its launch of the first Australian owned and operated satellite. Caterpillar renews satellite communications services agreement with ORBCOMM for its Telematics product. Shaw communications to deliver enrched satellite TV experience to its subscribers in September with the launch of the new Advanced HDPVR. TS2, a provider of domestic and global satellite access services, signs a contract with the Polish MNinistry of foreign affairs to supply 150 satellite phones. MTN Satellite Communications signs PT Aditech Matra as an aughorize reseller of VSAT products and services in Jakarta, Indonesia. RapidEye images over 95% of the U.S., 97% of Mexico, and 60% of Canada in a three-month period. Newtec and partner First Gulf win Saudi Arabian government projet to implement a satellite-based nationwide media transformation program. NASA super ship tracking setup aboard the ISS is teamed with Norwegian ship tracking satellite using same receiver in experiment tracking ships from space. STM reveals SatLink 2000 VSAT indoor unit supporting IP throughput up to 30 Mbps, operating on DVB-S2 with information rates over 160 Mbps, DVB-RCS compliant, with Adaptive Coding and Modulation fully supported. U.N. peacekeepers in Congo out of touch with villages during period when over 154 women there were raped; mechanisms to be put in place to prevent a repeat may include use of satellite phones and radios. Cobham Satcom sees increased USAT deployment for oil spill cleanup. General Dynamics’ Warrior antenna terminals certified to operate on the WGS satellites. Majority of Satellie TODAY readers unhappy with Obama space policy. Iran minister states that Rasad 1 satellite will be launched before the end of the Iranian calendar year, which begins March 1. ITU launches appeal and holds telecommunications systems and other contributions on standby for deployment in Pakistan, planning to offload contributions to the Pakiostan government "when we reach a certain point." Intelsat signs Boeing for a second UHF hosted payload on another of four communications satellites ordered from Boeing last year. U.S. satellite pay TV companies add subscribers while Cable sees its worst churn rate in history. China launches another new satellite, the TH-1 Tian Hui-1, using CZ-2D Chang Zheng-2d (Long March 2D) launch vehicle from the Jiuquan Satellite Launch Center. BEEMAR supply vessel fleet gets offshore communications capability with Hughes satellite broadband maritime solution. Boeing will dip further into its commercial satellite toolkit to expand Block II enhancements for the WGS-7 satellite it is buildihng. DARPA to develop small-satellite network. MTN Satellite Comunications selected to provide communication services to MT Hellespont Progress product tanker under 36-month agreement with owner Hellespont ship Management GnmbH & Co. KG. Maneuvering the AEHF-1 satellite into its assigned orbit encounters a hitch as a problem developed with firing the thrusters. Spacenet is awarded a federal grant from the Rural Utility Service under the American Recovery and Reinvestment Act to provide broadband service to rural unserved markets in Alaska and Hawaii. RigNet signs agreement with Stratos Global to become authorized distributor of Inmarsat and Iridium mobile satellite services offered by Stratos. New $25M Navy satellite center in Wahiawa for the Missile Defense Command/Army Forces Strategic Command passes final building inspections. KVH improves capacity for its Mini-VSAT product in the North America, Gulf of Mexico, and Central America regions by adding a full transponder and introduing a powerful new spread spectrum waveform. Dish appeals FCC backed law forcing carriage of local Public Broadcasting HD lineups. 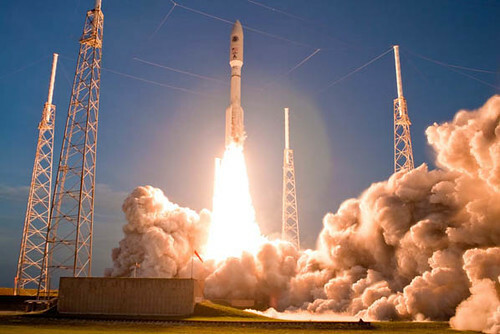 The U.S. Air Force is investigating an anomaly with the propulsion system on its first Advanced Extremely High Frequency (AEHF) secure communications satellite and may alter its orbital maneuvering plan, the service announced Aug. 20. The satellite was launched Aug. 14, and an unspecified problem occurred when operators fired the spacecraft’s thrusters to boost it to its designated testing orbit, Air Force Col. Dave Madden, the service’s military satellite communications program director, said in a press release. The satellite and all its subsystems remain safe and stable, and engineers are considering possible changes the orbital boosting process, it said. Officially, the Military Satellite Communications Wing at Los Angeles Air Force Base is calling it a "concern." 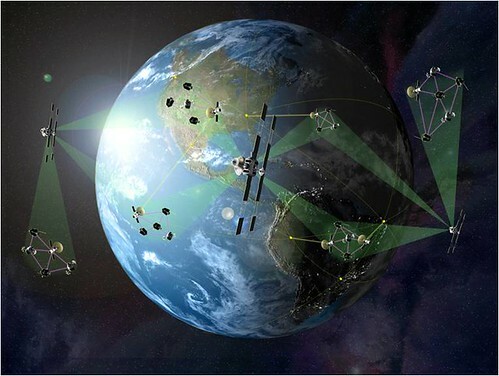 DARPA refocuses its System F6 program to allow an open community of researchers and developers to have more input in designing the architecture for a network of wirelessly connected small satellites. Viasat subsidiary WildBlue gets $19.5M stimulus grant to activate new subscribers on its satellite broadband services. Boeing wins $182m contract to start building a seventh military communications satellite for the U.S. Air Force. LightSquared notifies Inmarsat to begin implimenting Phase 1 of cooperation agreement to re-band L-Band radio spectrum, providing additional bandwidth to both parties in the contiguous spectrum. KVH boosts mini-VSAT broadband capacity more than 500% in North American waters with an additional full transponder and new spread spectrum waveform. Thrane & Thrane furthers its aeronautical dealer network within the UlS. and Canada, appointing four new dealers, as demand for its extensive range of satellite communications services remains strong. Competetitors in the 2010-11 Velux 5 Oceans round-the-world yacht race will relay video action of the race using FleetBroadband, fitted with Thrane & Thrane Sailor 250 terminals. SatNews and Surrey Satellite Technology team to deliver learning experience in December regarding current and future technologies involved in small satellite design. Inmarsat puts cost of new Boeing communications satellites and associated ground systems at $1.2B. ARRA awards announced this week include $100M to four satellite broadband providers to cover remote areas. Gilat Satcom reinforces its satellite activities in Africa. Johns Hopkins Universithy, Boeing, and Iridium Communications announce ne space-based service to help scientists monitor magnetic storms around Earth to assist in forecasting space weather that might affect satellite communications. India begins testing Centralised Monitoring System which can track all communication traffic – wireless and fixed line, satellite, internet, e-mails, and VoIP, to gather intelligence inputs. Spot LLC and DeLorme announce that the DeLorme Earthmate PN-60w with SPOT sSatellite Communicator wins Best in Show Award presented by GearJunkie.com at recent Outdoor Retailer trade show. Intelsat IS-27 satellite to be C-Ku band hybrid augmented with 20 X 25 kHz channel UHF payload for government applications; will be launched in 2012 and will replace the Intelsat 805 satellite. SES WORLD SKIES NSS-9 capacity to be used by the Nature conservancy on remote Palmyra Atoll 1000 miles south of Hawaii to establish connection with their National Wildlife Refuge. 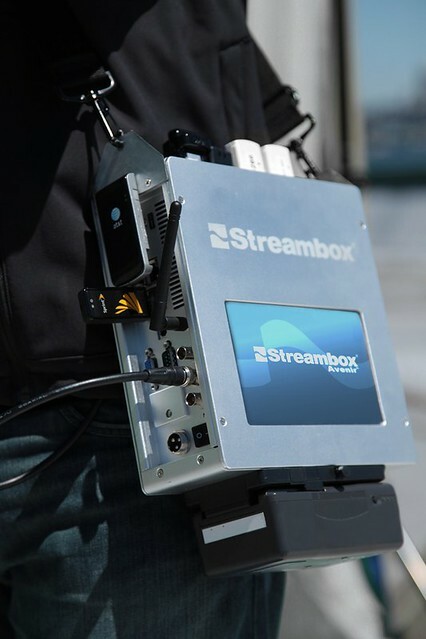 Fisher Communications of Seattle first to implement newly launched Streambox Avenir, a mobile device that can be carried as a side pack as alternative to SNG/ENG vehicles for field newsgathering. 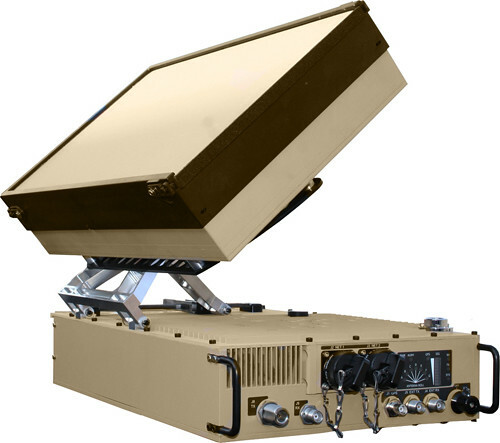 ViaSat deploys airborne Communications-On-The-Move terminals onboard several dozen U.S. Air Force Project Liberty aircraft to support ISR operations. Iran postpones satellite deployment as work on the satellite continues. Thuraya introduces Thuraya IP, a small 13.85 ounce package that allows users to control upload and download streaming bandwidths, contributing to significant savings. Google expances satellite ad offering via DirecTV deal. New VC7700 series digital video compression and transmission system from NEC features one of industry’s lowest compression delays – 10 milliseconds. Social Media Venture launches national satellite service offering, an Internet satellite service to be provided through an agreement with YourNetPlus.com. The program, called TubeSat, is the brainchild of Randa and Roderick Milliron, a Mojave, Calif.-based couple who’ve been developing a bare-bones, low-cost rocket system for the past 14 years. Selling flights as a package deal with satellite-building kits is proving to be a winning combination, with more than a dozen customers signed up to fly on the debut launch early next year. The first of four suborbital test flights is scheduled for August and there are customers for those as well. "The acceptance and enthusiasm has been overwhelming," Randa Milliron, chief executive of Interorbital Systems, told Discovery News. The customers include hobbyists like Alex Antunes, who is customizing his TubeSat into a device that can detect changes in the ionosphere in a digital format for musicians’ use. "You can listen to the ionosphere and get a sense of what space is like. Space is a very interesting place and sound is one way we can display it," Antunes said. He ordered a kit late last year. It contains the shell components for a satellite including a printed circuit board, solar cells, batteries, a combination transmitter-receiver, microcomputer, electronic components, blueprints and a structural shell that’s about the size of a one-liter bottle. Antunes found a company in Canada that has sensors he wants, thermal and magnetic detectors that will be able to convert the dance of the ionosphere into a blueprint for music. The data will be transmitted real-time via ham radio and recorded for distribution via the Internet at no charge. "This is a solo project," Antunes said. "It’s not as hard as it looks. It’s very much a hobbyist kind of thing." I think that’s very cool. SatMagazine reported quite a few customers have signed on for the launch. In addition to those already signed on, 20 additional experimental teams have reserved payload space with sales pending (satellites are added to the manifest only after full payment is made). The NEPTUNE 30 was originally designed to launch a 32-TubeSat payload, or 15 CubeSats, but the customer base began to demand CubeSat launches and double or triple TubeSat placement. To keep the costs at affordable, academically accessible levels, no more than four Cubesats will be flown on the specially priced academic launches, leaving space for 26 TubeSats to launch at the original $8,000 rate. The base price per standard TubeSat Kit, including launch, is $8,000. The cost per Cubesat launch (no kit) on a mixed manifest flight is $12,500. The price per satellite aboard an all-CubeSat NEPTUNE 30 launch will be $18,000. Four low-altitude (15km/10mi) suborbital test launches of the NEPTUNE 30 components are scheduled throughout 2010 prior to the first orbital launch. The first three pre-orbital testflights will evaluate the performance of a single CPM and related launch systems. The last testflight will be conducted with an all-up 5-CPM NEPTUNE 30. Payload space is still available for all suborbital flights on the NEPTUNE CPM launches. Prices start at a minimum of $500/kg. 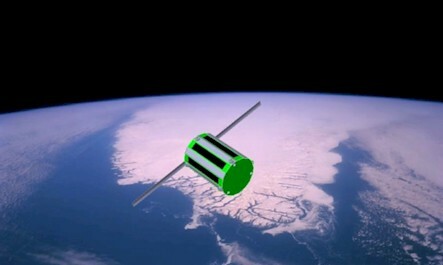 With its low cost and flexibility of use, the TubeSat Personal Satellite Kit offers endless possibilities. What exactly can one do with one’s own spacecraft? For the general public, it’s an opportunity to send a loved-one’s ashes or mementos to orbit in a tiny private mausoleum. For tekkies, artists, scientists, or hobbyists, this is a chance to broadcast personal messages from space, track migrating animals, photograph and chronicle climate change, conduct sustained zero-G science, send private email, play a new musical release from orbit, study cosmic ray activity, space-qualify hardware, or advertise a product, company, or cause — all from one’s own orbiting platform that is tearing through space at over 17,500 miles-per-hour. It may cost more than most DIY projects, but think of the possibilities. Think big. Over five years, the MU professor and his team analyzed muscle biopsies taken from nine astronauts and cosmonauts before and after their six-month missions on the International Space Station. Their muscles atrophied and lost power significantly, despite regular workouts on a treadmill and resistance machine. The lack of gravitational force to stress the muscles continues to be a problem. “The muscle is being activated, but there is no load,” said Fitts, chairman of the Department of Biological Sciences at Marquette. 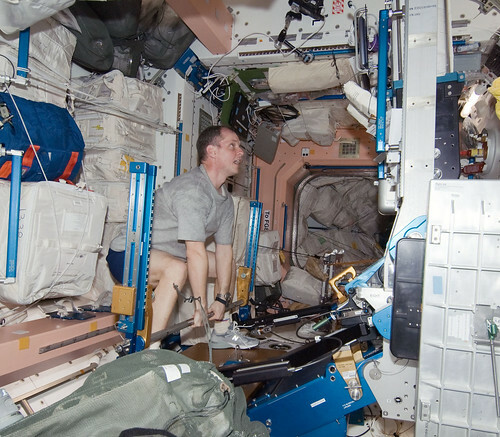 Fitts has been studying the physical effects of prolonged space flight for nearly two decades, starting with analysis of muscle loss during the shorter space shuttle flights. The results of those studies guided the nutritional and exercise plans implemented by astronauts on longer missions, and the new findings will be vital if the U.S. pursues manned missions to Mars. The paper published in the Journal of Physiology provides an in-depth analysis of 2,000 muscle fibers sampled from the calves of astronauts and cosmonauts who spent six months on the space station. Their missions were spread from 2000 to 2005. Fitts found the muscles suffered a 35% loss of force and a 20% loss of size in the slow-twitch fibers. The loss of power – the key to movement – was roughly 45%. “The biggest problem is the wasting of the muscle and the reduction of the motion, and as a result the power loss is much greater than the atrophy,” Fitts said. Equally problematic is the loss of stamina. Astronauts attempting space walks or other operations after months in a low-gravity environment would fatigue quickly, limiting their capacity to work. Take out your cans, ’cause here come the garbage man! 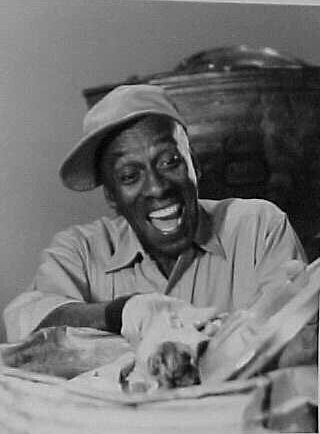 That’s what Louie, played by Scatman Crothers, would sing when he’d come around the shop on "Chico and The Man," a popular TV show from the 1970s. Over at DARPA, they may call him EDDE these days. Meet EDDE, the Electrodynamic Debris Eliminator. EDDE is an operational electrodynamic vehicle proposed by Jerome Pearson of STAR Technology and Research. STAR and TAI have worked on it under AFRL, NASA, NIAC, and DARPA funding, and are about to receive additional funding from DARPA. EDDE spins like a propeller to stabilize itself. The spin also lets EDDE push and pull against the earth’s magnetic field as desired, allowing controlled changes in all 6 orbit elements. EDDE uses a 30mm wide reinforced aluminum-foil tape as a full-length 10 km electron collector and conductor, to improve electron collection at high altitudes. EDDE’s solar arrays are distributed along its length. They serve as "electron pumping stations" that limit peak voltages relative to the local plasma. They also allow prompt detection and active quenching of arcs triggered by micrometeoroid impact on negatively-biased parts of EDDE, to prevent TSS-like failures due to sustained arcing. Like TEPCE, EDDE can flow current in either direction, but EDDE will use hollow cathodes as electron emitters, to allow multi-amp currents. EDDE will be able to capture objects in expendable spinning nets deployed from either end, and drag them either down into short-lived orbits, or to facilities that might recycle much of the ~2100 tons of debris now in low earth orbit. Each EDDE weighs ~100 kg and should be able to handle ~25 tons of LEO debris per year. So a dozen EDDEs may be able to clean up most of the 2100 tons of debris in LEO within ~7 years. Thereafter a few EDDEs can stay in orbit to remove new spent stages and failed satellites on demand, providing a new option for complying with the "25-year rule." Jerome Pearson, president of Star Inc, presented the idea for what he calls "a space garbage truck" on Friday at the annual Space Elevator conference. Pearson was an early proponent of the idea of building a space elevator, and a paper he wrote about it in 1975 inspired the description of a space elevator in Arthur C Clarke’s science fiction book, The Fountains of Paradise, which popularised the idea. Space garbage happens to be one of the biggest obstacles to building a space elevator. Pearson’s proposed EDDE vehicle will come equipped with around 200 nets, like butterfly nets, that it extends to scoop up garbage in low-earth orbit. Over a period of seven years, 12 EDDE vehicles could capture all 2,465 identified objects over 2 kilograms floating in LEO, Pearson says. Once it captures the object, the EDDE can do several things with it. EDDE can fling the garbage such that it lands in the South Pacific, where it has little chance of dangerously landing on anything important. Or, the EDDE can deliver the object closer to Earth where it will orbit out of harm’s way and eventually decay. Better yet, it can be reused in space to build a variety of useful structures, Pearson said. "So you’d be mining aluminium in orbit mainly," he said. Four EDDEs could collect enough metal and other material to build a structure the size of the Smithsonian Air and Space Museum, which could be used to host crews or store equipment, he said. The newspaper’s pretty thin today. Many people are away, so there are less ads to run. Reports and editors are on vacation, too. Less content overall. So the timing must be just right for some satcom P.R., right? Sure, let’s run that piece! First page of the business section in today’s New York Times — a story on satellite, "Tapping the Web from 22,000 Miles Up." Even so, the satellite companies contend that they should have received a bigger piece of the $7.2 billion in federal stimulus money for extending broadband service to underserved areas in the United States. Of its $2.5 billion share of the stimulus funds, the Agriculture Department is allocating just $100 million in grants to satellite companies. Thomas E. Moore, chief of WildBlue, said satellite technology would be able to serve thousands more rural residents than terrestrial services at a fraction of the cost. He cited a $28 million grant to a nonprofit group in North Carolina to extend fiber to 420 schools and libraries. That same grant could have instead directly served 70,000 residents in North Carolina through satellite service, Mr. Moore said. What, can’t lower the price? Gotta keep the 80% margins. I’d rather see the profits generated from television broadcasting used to provide broadband Internet service to under-served markets. If they had historical data on how they’re "subsidizing" this type of service, perhaps they’d get some help from the Broadband Plan. Hey, at least Space Systems/Loral get good press: they’re building both Ka-band birds for ViaSat and Hughes. Overall, the piece is typically well-balanced and well done. For the satcom guys, it’s just another example of their press people not being taken seriously by the MSM. In other words, who cares? Pactel International uses satellite-based technologies to provide telecommunications solutions at highly competitive rates. Our flexible and cost-effective solutions adapt to the specific needs of each of our customers in Australia, Indonesia and Pacific Islands. Our solutions cater for dedicated, shared and burstable capacity over fiber optic, VSAT, DVB and DVB-S2(CCM,VCM,ACM) IP Platforms, as well as SCPC technology, and provide services on C and Ku band. Pactel International provides several hundreds of Mbps of IP capacity into the Pacific Islands via satellite and undersea cable. With Pactel Sat multi-home IP peering, high reliability to the backbone is assured. For satellite IP solutions, our services are available on several satellites including, Intelsat 602, NSS-9, Intelsat 701, IS-8, IS-2, Apstar-6 and GE-23. Pactel International is one of the Asia-Pacific’s most flexible and competitive VSAT internet service providers. With offer both fixed and mobile VSAT services and satellite coverage stretching across the Pacific, we are able to derive the most sophisticated end-to-end turn key solution for your connectivity needs. The Bandwidth Management Service allows you to “shape” your IP traffic to suit your needs. You will be kept up to date with overall throughput, the nature of the passing traffic and the amount of bandwidth being used. Pactel offers a fully integrated solution with the supply, installation and management of the caching system on your premises, which can save you up to 50% in the cost of your IP bandwidth. IPLCs allow for connection to various cable and carrier systems connecting you from the Pacific to the world. The Lockheed-built Advanced Extremely High Frequency military communications satellite is successfully launched aboard an Atlas V rocket from Cape Canaveral. U.S. Army is under pressure to bring the same kind of high bandwidth networking (from 46 Mbps to about 10 Gbps) now available within its U.S. Central Command networks to its smallest units on the battlefield. Market seen for personal tracking devices using satellites, such as the matchbook-sized transceiver and half-dollar size antenna that can be incorporated in personal devices, developed by Iridium. Optimization of satellite networks using WAN compression and acceleration algorithms lets Expand Networks upgrade its clients remote site networking capabilities without requiring additional expensive satellite bandwidth. NASA’s TERRA satellite portrays extent of Pakistan flooding that has caused the death of more than 1,600 people and has affected over 14 million in some way. While satellite TV companies DirecTV and Dish Network like to compare themselves to cable companies in a favorable light, customer complaints lead Better Business Bureaus to give low ratings. Thuraya launches its first satellite aeronautical service, AviationComms, already aboard over 200 helicopters and business jets. Swedish Space Corp satellites Mango and Tango, launche June 14th as part of the PRISMA project to test formation and rendezvous technology in space, are successfully separated from one another. Comtech receives $1.8M order for satellite modems from U.S. government. 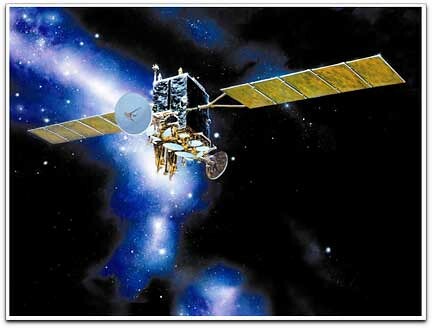 NASA’s WISE wide-field Infrared Survey Explorer satellite loses one detector as outer coolant tank empties; other detectors supported by inner tank continue to perform well. MTN Satellite Communications is selected by Beluga Shipping to install broadband VSAT system on the Beluga Shanghai, one of its new P-class series of super heavy-lift vessels. SES WORLD SKIES gets long-term renewal from iN DEMAND for capacity on AMC-1 and AMC-10. United Arab Emirates Telecommunications Regulatory Authority awards satellite licenses to Al Yah Advanced Satellite Comunications Services and Star Satellite Communications Company. NASA’s firs microsatellite, FASTSAT, arrives at Kodiak Launch Complex in Alaska for final checkout before launch. 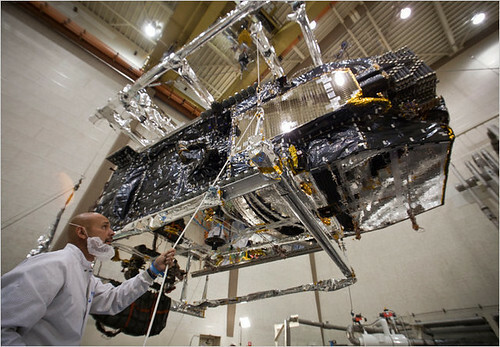 Iridium reports strong growth in second quarter 2010. Newtec receives multi-million dollar award from U.S. government prime contractor for FlexACM technology for IP trunking satellite links. SEAKR to provide communications processor for the Iridium NEXT satellite constellation. Intelsat S.A. signs multi-year agreement with Sony Pictures Television for capacity on Intelsat 17, enhancing Intelsat’s media neighborhoods in the Indian Ocean region. Satellite data communications company Orgcomm agrees to sell assets of Stellar Satellite Communications to M2M based satellite and terrestrial communications manufacturer Quake Global. China launches remote sensing satellite, YaoGan Weixing-10, aboard a CZ-4C Chang Zheng-4C (Long March) vehicle, for sixth launch this year in what is expected to be a launch surge for second half of 2010. Caprock announces new VSAT service for North American energy market. Champion Technology Services deploys Encore’s BANDIT line of IP+Legacy industrially hardened routers for satellite VPN solutions throughout Southwestern U.S.
Students from Colorado Space Grant Consortium team with Lockheed Martin to develop miniature satellite ALL-STAR (for Agile Low-Cost Laboratory for Space Technology Acceleration and Research). SatMAX delivers satellite repeater system to Science Applications International Corporation. Dish Network stock price drops as investors learn of loss of subscribers for second quarter in a row. Inmarsat to invest $2.1B in Boeing-built next-generation Ka-band satellites. NSR report details dizzying activity in the last 12 months in the mobile satellite services (MSS) sector, with companies going public, hedge funds increasing their positions in the industry, satellites being launched, and new products being developed and put into service.